Yaaay! 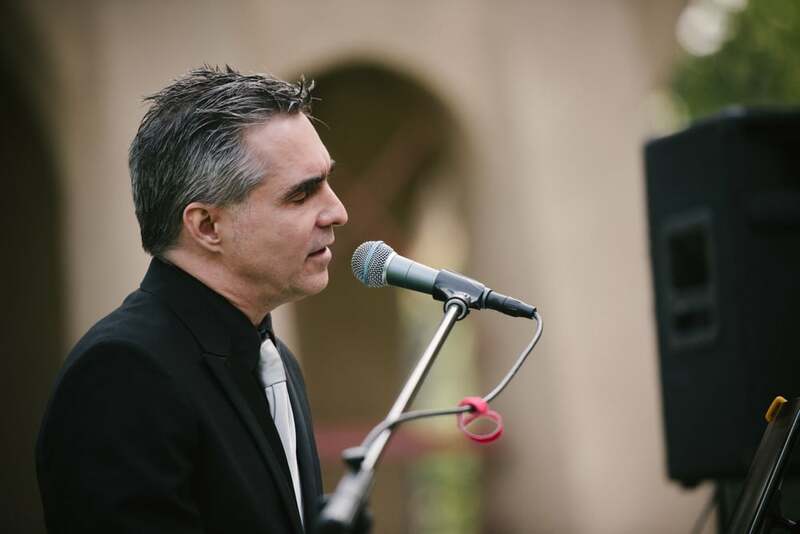 I was back as Mr. Party Pianist Conejo Valley for a gorgeous Garden Party/Birthday Party on Saturday night! I love the Conejo Valley. It’s beautiful and open and always fun to play in the area. In this case I got a last minute call to play for a private event in Hidden Hills on Saturday. First I worked out someone who would be possibly able to cover it if I couldn’t make it…Then I called my incredibly awesome agent who had booked me on my other commitment lo we were able to work out a solution for the other engagement I had scheduled. Then…we were off to the races. 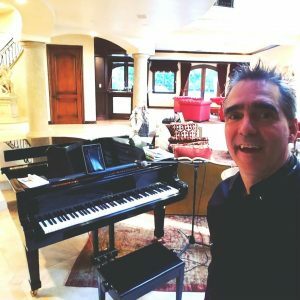 The setting…I mean here is what this party pianist Conejo Valley loves….A beautiful grand piano to play for a cocktail hour before the diner I spent two hours playing and singing every Rod Stewart, Elton John, Coldplay, that sort of jam. Taking requests and basically just making it as beautiful as possible. After that the diner was starting so we moved out side under the beautiful sky next to the pool where I had set up my keyboard within speaking distance with the guests. And proceeded to play for almost 2 hours more under the stars. A little softer for the diner…with a fun time finding songs that the kids wanted to hear…We did some Rachel Platten, Charlie Puth, Taylor Swift…and then cranked it up after diner for some rockin out. Sweet Caroline, Sunday Morning, Brown Eyed Girl etc… for the adults after diner. The kids had fun. The amazing host and hostess had fun. The parents had fun…. Party Pianist Conejo Valley Bullet Points! I will find you someone amazing if I for any reason can’t play for you. Repertoire for kids, you, parents etc..wide variety of amazing! Have keyboard and/or can play your piano or both. Just piano or…Piano and vocals.